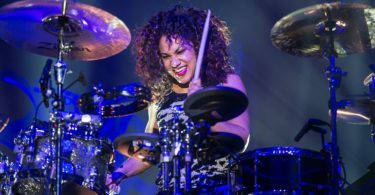 Drum triggers have been around for over two decades, but the more recent software and hardware have improved greatly over what drummers have used in the past. If you are looking for triggers for your electronic drums, you are not alone. Because of improvement in triggers within the last few years, there has been renewed interest in using them. Here are a few tips on what to look for in an electronic drum trigger pack, and a few reviews to help you start shopping. When you are using triggers on your electronic drum, it’s actually a pretty simple concept. In my thirty years as a drummer, I have found that the one place that triggers work the best in is clubs. You will get different sound quality from club to club depending on their PA, microphones, or the sound person. Triggering electronic drums in this situation instead of just using acoustic drums solves the problem of having no control over the sound of your instrument. After you place the triggers on your mesh heads, you plug the triggers into the sound module which goes to the PA or drum amp, and instantly you have studio quality sound. The trigger helps you to not have your sound overtaken by the guitar, and you will get a punchier and clear drum sound through the PA, or better yet your own amp, and no one else will mess up your sound. Durable, low profile design, a variety of pads and triggers with two trigger inputs for professional onboard sounds and multi-effects, create custom WAV sounds through you SDHC card. This is the waveform’s height that is measured in volts. This is the vibration after the pad is struck that causes another pad or drum trigger to fire. This is generally caused by sympathetic vibrations. This is one or more sounds made after the first intentional trigger or pad hit. This is the amount of time that it takes a trigger input to wait prior to reacting to another trigger waveform. This is a setting on the trigger interface that is used to balance the different voltage output levels of different trigger or pads and playing styles. This is the amount of time it takes to receive a trigger signal from a sound module before the waveform amplitude is read to decide the volume of a sound. This is the point below where a trigger waveform will no longer be recognized. A sound module’s sound output volume that is changed relative to user input is altered by a trigger interface setting. The waveform is a voltage output representation of the drum trigger that is shown over time in amplitude. There is a variety of different options for triggers and their interfaces or sound modules. Your basic trigger setup will be comprised of the trigger, the drum, and the trigger interface. There are two types of triggers interfaces. One has sounds on board and they are usually called drum modules. The other does not have sounds, and they are often referred to as “trigger-to-MIDI” converters. Despite the different names, they both have the same purpose, to change a trigger pulse into a MIDI. Which one to use is entirely up to you. Your electronic drum set may already have a drum module that can function as the trigger interface. If you have this part, you are in luck as that is the most expensive part of a drum trigger setup. However, if you don’t already have the drum module, you probably should pick one up since it can perform as the trigger-to-MIDI interface, and it also already has the sounds that you want to trigger. There are lots of options on the market at all the price levels, but always do your research and get the best possible deal. Next you will need a trigger-to-MIDI interface, and if you do your research, you should be able to find a few good ones on the market. Try to find one that is completely a trigger-to-MIDI interface, so it will not have any sounds in it, and you will have to connect it to the external sound module through a MIDI cord. There are two places to attach a trigger to an electronic drum. The first is the head of the drum, or it can attach to the rim of the drum and sit in its own housing. The head contact trigger, or Piezo pickup, sticks to the head with adhesive. The rim mount trigger are mounted to the rim, and then the trigger assembly is pressed against the head. Piezo crystal technology is used in both these triggers. Piezo crystals can actually be found around all the time, and they are used in everyday technology, like microwaves, that beep. So, when the drum is struck, the head vibrates the piezo that then sends a tiny amount of voltage to the trigger-to-MIDI converter. This voltage spike is turned by the trigger interface into MIDI information including the velocity, note number, and MIDI channel. The MIDI information is then to on to create a sound from the sound source. The most common trigger is the head contact trigger. 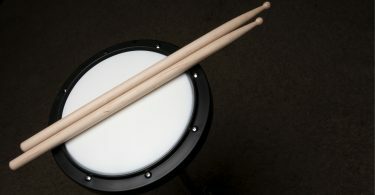 There are several companies that make drum triggers with ddrum and Roland as a few examples. The head contact trigger is the most inexpensive of the drum trigger types, and it is also the most fragile. This is also a permanent addition to your kit as they generally stay on the drum all of the time with either double-stick tape or adhesive. Since it is the jack arrangement and sensor, any exposed wire is left open to be damaged. The most common damage is a pinched wire from passing over the rim that is left in a fragile position. So, it is important to take care of them. The rim-mount trigger is another trigger arrangement, and it is the trigger that has been around for the longest. It works really well, but it does not have sensor height adjustment to make up for the differing rim heights. If the rim is very high, it may not reach the head, or if the rim is low, it may end up muffling the drum. You will need an XLR-to-1/4″ cable that will connect to the drum module. 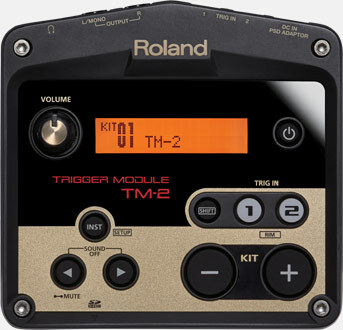 The newest trigger is the Roland’s RT-Series drum triggers. Roland studied the design elements from all the other triggers to create it. It has sensor elements for both kick and snare with an ingenious sensor design to the mesh headed V-Drum pads and to the kick and snare trigger. It has an inverted cone trigger element assembly that will not muffle the drum head, and it can also help to lessen double or false triggers. 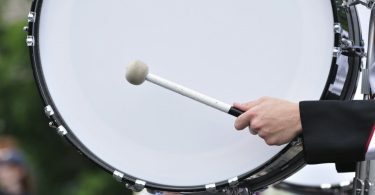 The RT-3T tom trigger does not touch the drum head, but senses the vibration through the rim. Learning to apply trigger technology can take some practice. 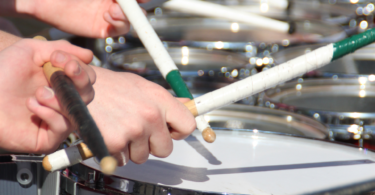 It may take a little experimentation to get it just right, especially since each drum set will vary. 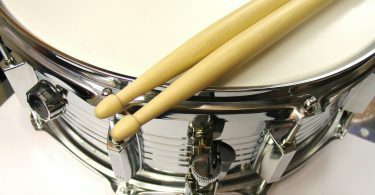 There are common trigger settings, or parameters, from drum to drum. The names of the settings may differ depending on the manufacturer, but they do have the same functions. The owner’s manual for the drum module or the interface should help you figure them out. One of the first things you should do before setting any parameters is to find the “trigger type” selection on your interface or drum module. You may not find it on older modules, but you shouldn’t have a problem with the newer ones. This will set the trigger settings approximately where they need to be before you even need to do anything. At this point, you need to set your “sensitivity” level to work with your playing style. 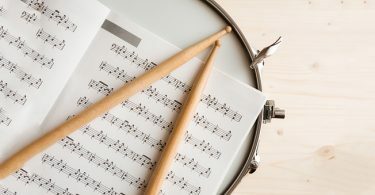 If you are setting your parameters yourself, remember that there is a tendency for a drummer to set them softer than what you would actually do when you are performing. When you are playing your hardest, you should peak on your sensitivity graph. Also, don’t set the sensitivity to high as this will constrain your dynamic range, and it will lead to double triggering problems or dropping notes out. Next is setting your “Threshold”. You should first set it to “0” where it is most sensitive, and then play at the lower volume that you intend to play. You should then increase the threshold until you notice that the triggered sound is starting to drop out. Remember to always be realistic with your performance expectations. The next parameter called “mask time” is called by several different names, so make sure to check the manual for what your interface calls it. This is the parameter that gets rid of multiple, double, and false triggers. You also need to find out what your numeric values in actual milliseconds your interface corresponds to. This will make setting the parameter an easier process, otherwise, you will have to do it by ear. The “mask time” parameter should be taken down to “0,” and you need to play the drums as quickly as you would in a normal performance. At this point, increase the threshold setting, so that the double triggering is lessened or gone completely, and then continue to raise the value until you aren’t triggering some notes. Now you need to take the setting back down a bit, and keep repeating this whole process for all the drums one by one. The Roland TM-2 Drum Module Pack has limitless sounds, and they mount very neatly onto your electronic drums. There are a variety of pads and triggers that are supported by two trigger inputs that provide professional onboard sounds and multi-effects. You can also create custom WAV sounds through you SDHC card. The Roland TM-2 triggers have a low-profile design that makes sure they are out of your way while you are playing, and their ABS bodies are fiberglass-reinforced, so they can definitely withstand a random hit with your stick. You can design an awesome custom hybrid kit with your SPD series controller or V-Drum, and you can track MIDI in the studio. 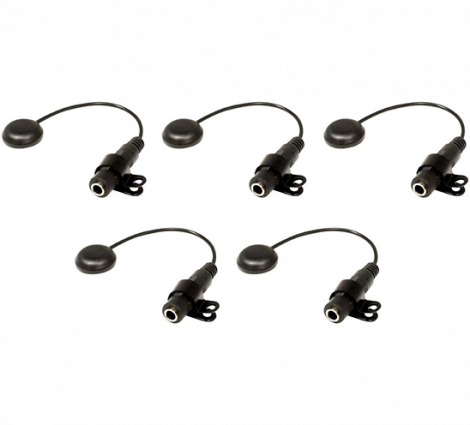 These are great to use while you are recording, or while you are performing on stage. They don’t need any software, and they are easy to install and uninstall. They are compact and battery-powered and includes 160 onboard sounds. You can capture the strike of your kick drum the moment you make it, and they have separate zones that will trigger rimshots or ghost notes. They include TRS cables so you can connect your triggers to the module. They are priced in the mid $400s. 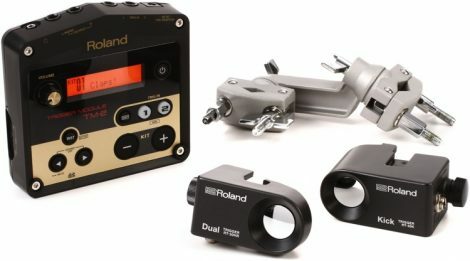 The Roland RT-30K with RT-30HR/RT-30H gives you an awesome deal with a ton of triggers that is a great option if you are just starting out with triggers. They are super simple to install, and they give quick and precise triggering. It comes with a self-guided mount that will automatically set up your sensor to the optimal position, so there is no need for a lot of adjustments once they are mounted. These are perfect for all your drums with the RT-30HR specifically designed for your snare, and the single-trigger RT-30H works well for your toms. 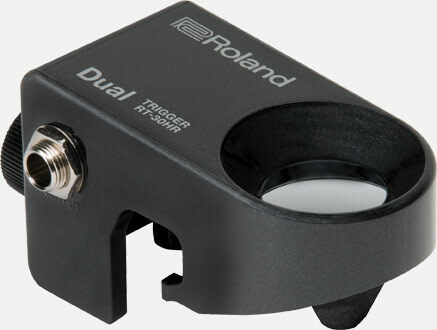 They are designed to attach securely, and the Roland Trigger Pack is a great value. They are available in the mid $400 range. 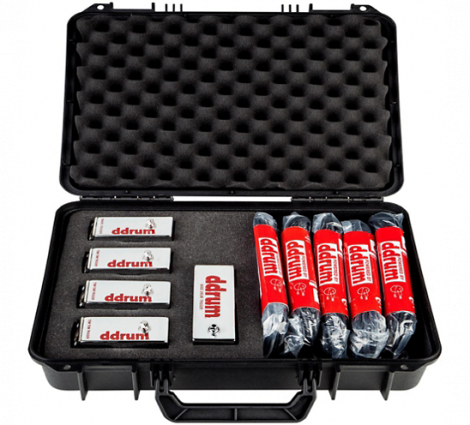 The ddrum Red Shot 5-Piece Drum Trigger Pack contains four 4 Red Shot tom/snare triggers, plus one Red Shot bass drum trigger. 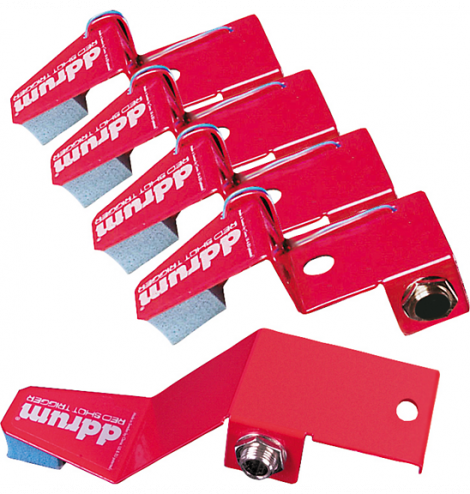 The Red Shot drum triggers are easy to install and uninstall, durable, and very portable. You can connect them to your drums with any 1/4″ cable, and they should fit on to most drums easily without any adhesive needed. Red Shot drum triggers attach securely and safely to each drum. They are available for under $100. The Pintech External Trigger 5-Pack are mounted to the electronic drum heads, and they give you superb response and sensitivity. They are specially designed with Pintech’s world renowned trigger system making them one of the best external triggers that give you both response and sensitivity on the market. 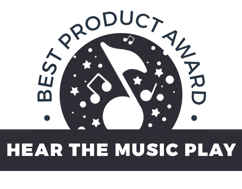 They feature the “Kwik Klip” mounting system that guarantees that your audio jack will stay in the right place, and that it will fasten to the drum without adhesives. They are easy to install and uninstall, and they can be used over and over. The Pintech External Triggers are specially designed for mesh heads. They are priced around $800. The ddrum Chrome Elite drum triggers comes in a 5 pack, and they embody ddrum’s success with trigger performance and construction. They have a chrome finish and a perfected transducer and wiring harness that makes them more reliable, longer lasting, and better at tracking. They are based on industry-standard Acoustic Pro triggers, and work well with all the popular drum modules. They are available at the $400 price point. 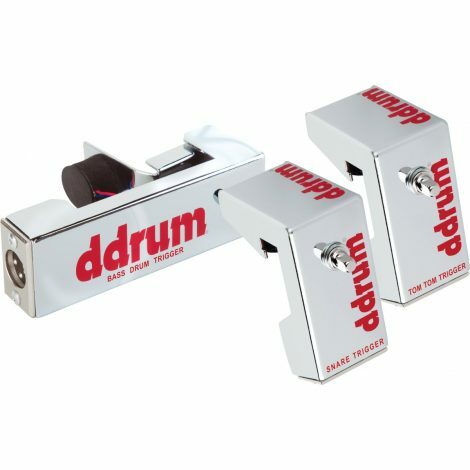 The ddrum DRT Dual Element Trigger Pack contains five ddrum triggers that have dual redundant trigger technology, so you can go back and forth between two different elements that are in the same trigger housing. 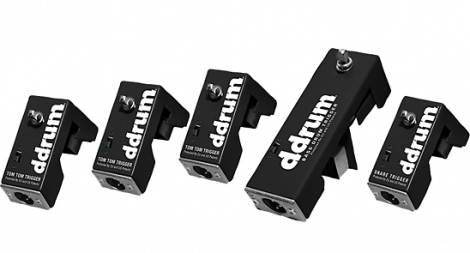 The ddrum DRT has a precision response with a secure XLR connector, an easy to replace transducer, and a wide dynamic range. Their backup triggering system guarantees that they won’t fail, and they work will all the popular drum modules. They are available from the mid $200s. The ddrum CETKIT Chrome Elite Trigger Pack embody the best in trigger performance and construction. They are based on industry-standard Acoustic Pro triggers, and come in a brand-new chrome finish with improved wiring harness and a transducer making them more reliable, longer lasting, and better at tracking. They are available from the low to mid $200s. 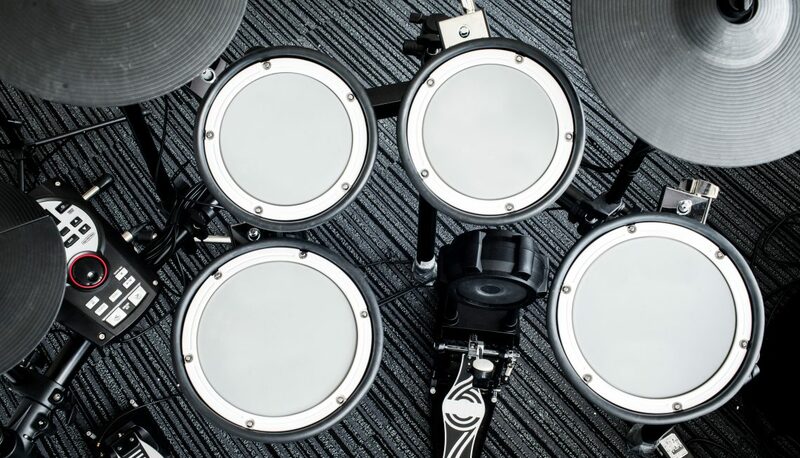 The Roland Hybrid Percussion Pack includes the Roland TM-2, which is the size of a sandwich, that is battery powered when you are onstage and uses an AC adapter when you are practicing at home. It has over 160 onboard sounds, and it also lets you create your own WAVE files with an SDHC card, so you can even create your own samples at home in the studio, and then play them out for your audience when you are on stage. They are super easy to install and uninstall. The pack also includes the Roland RT-30K kick drum trigger, plus a dual-zone RT-30HR snare trigger, and a module mount, plus all the cables you need to hook everything up. They are available in the mid $300 range.